Q: Could you provide our readers with a brief introduction to Ecopia Tech Corporation? A: Ecopia is an artificial intelligence and machine learning company that creates high definition(HD) vector maps. We take imagery from partners around the world, and extract features, including building footprints, roads, waterways, grasslands, etc. With our global extraction services, customers around the world can make quicker decisions with the most up-to-date information. Ecopia began as a PhD thesis project out of the University of Waterloo, and since then we’ve grown steadily over six years to a team of 30, with offices in Waterloo, Toronto and San Francisco. 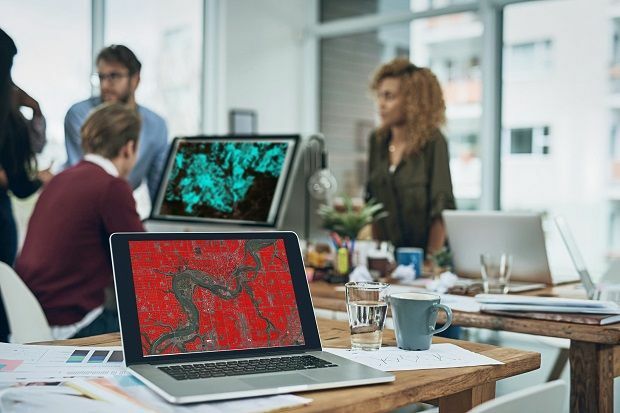 With customers around the world, Ecopia is innovatively disrupting the geospatial world using artificial intelligence and machine learning technology to produce vector maps with human accuracy in less time and at a lower cost than traditional methods. Q: What’s wrong with the current system for geocoding and POI data? What’s your solution? A: Current systems for geocoding and POI data have attributes attributed predominantly to the road. So an address of a house may be geocoded to the driveway or where the land parcel meets the road. We’ve all heard the stories of how someone ended up in a lake or the middle of a field because of following navigation systems. With Ecopia Geocoded Footprints, we pinpoint addresses to the true location, whether it be the centre of a parcel or the main building on that parcel. We’re providing the most precise information for businesses like logistics and emergency services using artificial intelligence and machine learning for better decision making. Q: How do you help to shape the future of transportation? A: Autonomous vehicles need very different maps from those that are currently used in today’s navigation systems. Today, drivers use maps for wayfinding and to generally orientate themselves with their surroundings. However, as the task of driving shifts from the in-car driver to in-vehicle automation, the role of digital maps shifts significantly. 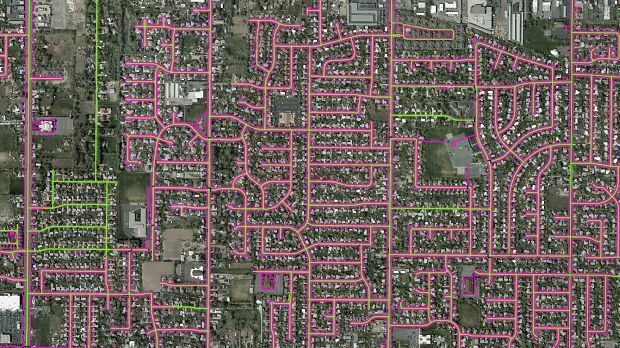 These next generation maps for machines come in the form of a highly accurate and realistic representation of the road, generally referred to as high-definition (HD) maps. Currently, we’re creating an HD map for the AVIN (Autonomous Vehicle Innovation Network) project in Waterloo Region, a part of Southwestern Ontario. A: Ecopia offers global feature extraction services, which means we can extract both physical and man-made features, anywhere across the globe. Extractions include building footprints, roads, sidewalks, forests, waterways and many more. These extraction vector maps are used by businesses globally to make better decisions in less time, and with the most precise information. We’re using artificial intelligence and machine learning to gain human level geometric accuracy across the world. Most notably, we’ve recently mapped the entire United States building footprints, with over 169 million buildings mapped. These vector maps are available off-the-shelf, and we’re creating over 40 million building footprints per month across the globe, as our commitment to map the entire world. A: We are committed to mapping the world through innovation, and continually training our technology to become more and more accurate. We’re looking to become more involved in autonomous vehicles, and smart city base maps across the world too, helping to ensure safer roads and smarter vehicles on the road. Ecopia is also growing our exponentially too, adding top talent to both the engineering and business divisions. We’re disrupting our industry by creating high-definition vector maps in less time, and at a fraction of the cost of traditional methods. And our future looks bright.